Dubai World Trade Centre (DWTC) has announced a 15 per cent year-on-year increase in visitors for the 18th edition of Careers UAE, signalling a positive shift from both private and public organisations as a number of post-event interviews are secured by an expanding pool of talented UAE Nationals. 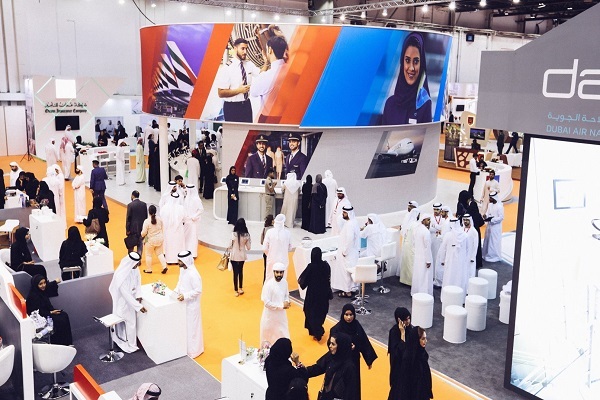 With high percentage of jobs on offer in a variety of industries, big players have used the three-day career exhibition to springboard their hiring process, locking in interviews for Emiratis in the weeks following the event, said the organisers. Additionally, Maersk Line has since hosted an 'Open Day', inviting interviewees to introduce them to the company as part of the interview process, they stated. Eloise le Conge Kleyn, the head of HR at Maersk Line, said: "It was our first year participating in Careers UAE at the InternsME stand and creative lab and was an amazing experience. We interviewed so many candidates and we were able to share what our company is all about." "For a lot of UAE nationals, it is a new thing to look at multinationals and private companies as an employer so we are happy to be a part of this journey and to explain what the multinational can do for Emiratis’ career development," stated Kleyn. Mariam Al Maeeni, the director of Industry Nationalisation at Dubai College of Tourism said Careers UAE, is an important event to meet students, graduates and talented youth who are seeking jobs in the industry and to give them some valuable guidance. “About 674 UAE Nationals registered in our Medyaf Database over the 3 days of the career fair, of which 436 were female and 238 male,” remarked Al Maeeni. "Of those, over 300 from those registered on the stand completed immediate interviews with several Industry leaders from Hospitality and Retail who were hosted at our stand," stated the official. "We are now in the process of following up with our partners to get their assessment of the various applicants," he added. On top of the range of participating exhibitors such as Dubai Police, UAE Armed Forces, Commercial Bank of Dubai and Etisalat, the show floor hosted a wealth of features including the Creativity Lab which was designed to take candidates through a step-by-step journey to hone their skills throughout the hiring process.